Fuerteventura is the second largest island of the Canary Islands. A Spanish archipielago located in the Atlantic Ocean, formed by volcanic eruptions millions of years ago. With an average of 365 days of sunshine per year and its incredible beaches, Fuerteventura is best destinations to escape. 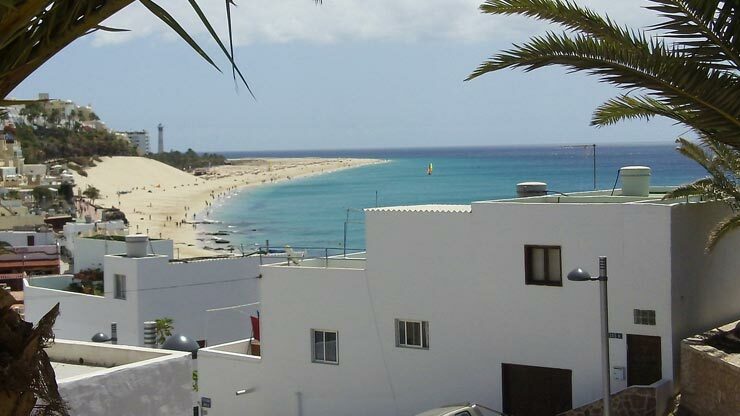 There are incredible and numerous sites to visit, such as Corralejo, a beautiful little fishing village. 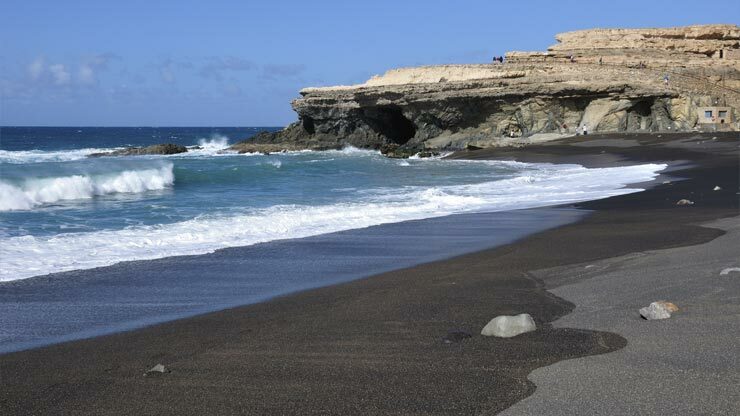 The black beach, or Playa Ajuy, composed of small volcanic sediments certainly a unique experience. If you rent a car you can make a trip to Morro Velosa, the viewpoint, from where you can enjoy the best view over the whole island. Or the diversified art in its capital, Puerto del Rosario, or incredible buildings like the romantic church of La Oliva, its incontemporáneos windmills ... Do not forget to try the fish and seafood on the island. Fuerteventura is a perfect place to rest, relax, have fun and recharge your batteries. Count on us to rent your car during your stay in this wonderful island. We offer a good service in car rentals at Fuerteventura Airport and as always, the best price. We are BROKERS and opposite to car rental comparison sites in Fuerteventura, we negotiate directly with the car rental companies in order to offer the lowest prices on car rentals in Fuerteventura.